This 2035 sqft. 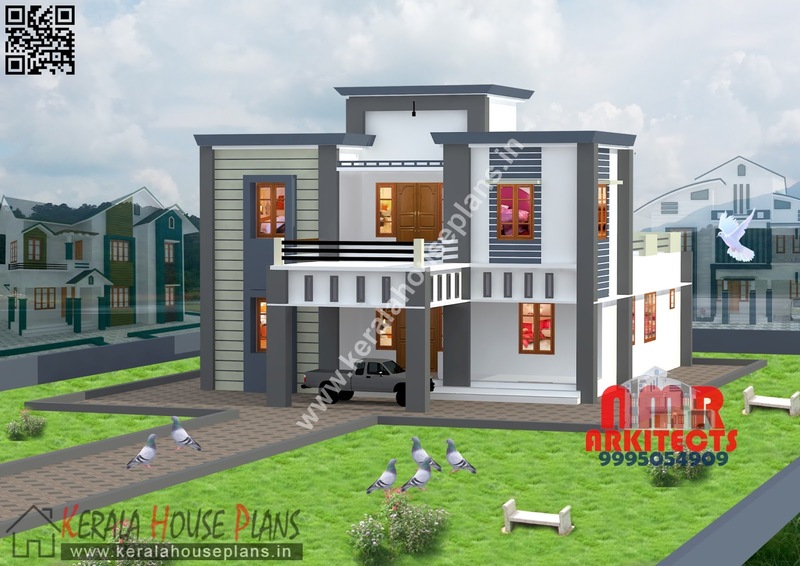 Kerala Model contemporary house plans designed by NMR Arkitects. There is two style elevation with same design.This house contains ground floor with 2 bedrooms in which one is with attached bath room, living room,dining hall, kitchen and work area.Also contain a sit out,porch, prayer room,store and common bath room. The ground floor area is 1320 sqft. The 715 sqft. first floor contains two bedrooms,living room, balcony and a common bath room. 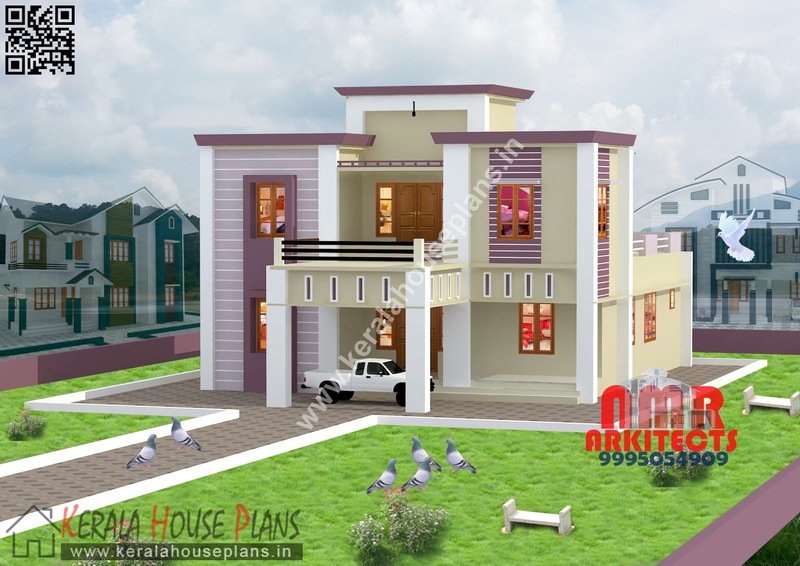 The total area of this Kerala Model contemporary house is 2035 sqft.